It’s Alaska Beer Week, January 13 through January 22, ten days of frothy fun celebrating all things craft beer in Alaska. 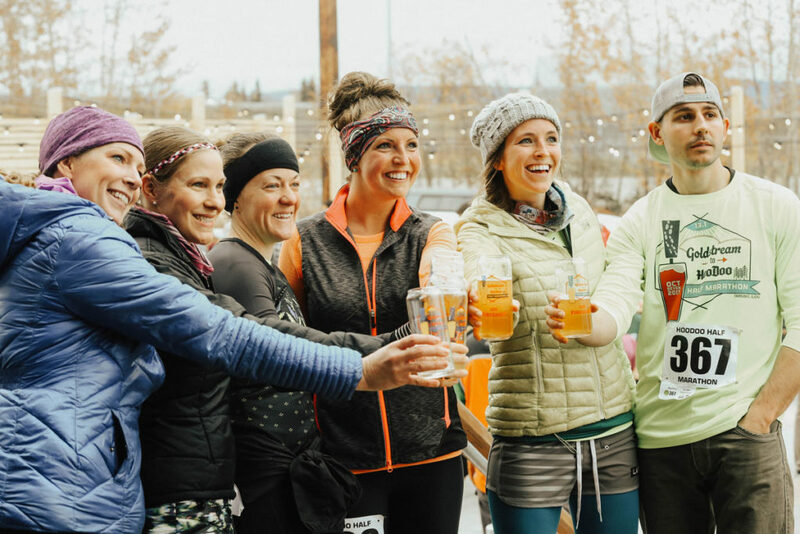 Created in 2011, AKBW celebrates the depth and diversity of craft beer here in the Last Frontier with beer-centric events held throughout the state. 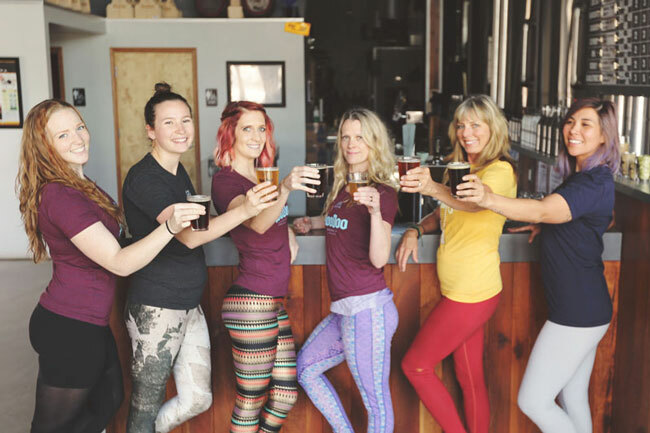 HooDoo Brewing Co. has a full line-up for our home-town of Fairbanks. From showcasing local food to beer releases, all craft beer lovers will find something that week that appeals to you and your tastebuds. Join us Saturday December 10th for the 3rd annual Reindeer & Beer in the HooDoo Biergarten! 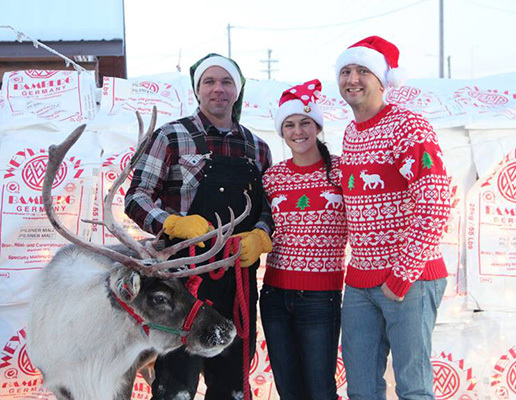 From 11am – 5pm, get a festive photo taken with Flea or Dave and George the Elf from Archipelago Farms, and benefit the Fairbanks Community Food Bank while you’re at it. Bend for your beer and have a post-session pint! 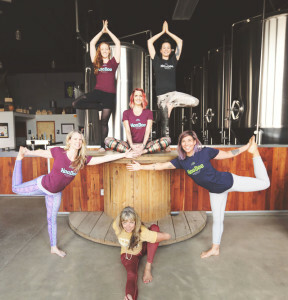 Thanks to our wonderful collection of talented local yoga instructors, we continue to offer our Yoga On Tap series so you shake up your routine and can get your BeerAsanas on. Whether you are new to yoga, or are a seasoned yogi practicing in the quiet Taproom while our beer bubbles away offers a different experience. These sessions are for all skill levels and are designed for fun! It’s just a $10 drop-in fee. 100% of the money will go to a local charity. After class, you can grab a pint if you’d like, and hang out before the Taproom opens to the public at 11am. 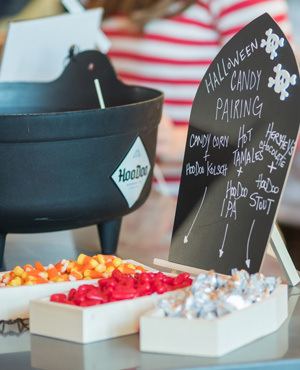 Happy 4th Anniversary, Halloween and Open on a Monday! A ghoulish crowd gathers to celebrate in 2015. 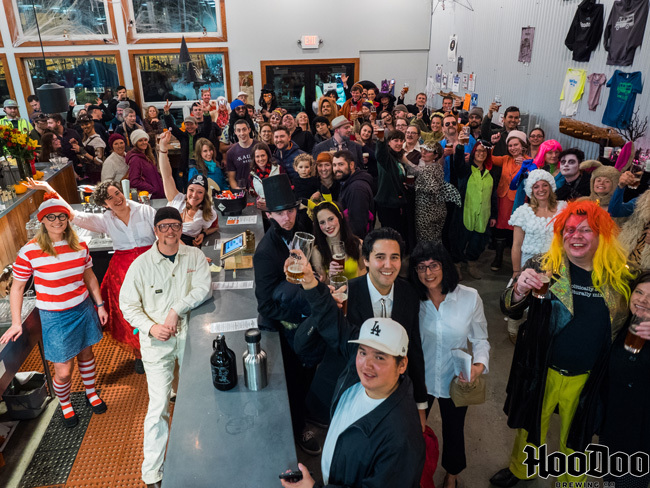 Four years ago on Halloween, we opened our doors to a great, enthusiastic crowd who waited patiently for delicious, fresh, local beer. Monday, October 31st, is our four-year Anniversary, which will no doubt be fun since it is on Halloween. We’re not typically open on Mondays, but this is a special occasion, so we’ve gotta open those doors.